I consider myself primarily an author. I write books, and articles, and updates that help people with their money and their careers. But ultimately my career is in helping people realize that their financial position can be the biggest contributor to their dreams. So if there’s an entire group of people out there that will never read my website, or an email, or a book I write, or be my friend on Facebook and Twitter, shouldn’t I still try and find a way to help them? That’s what this show is for. And you are helping me reach those people. 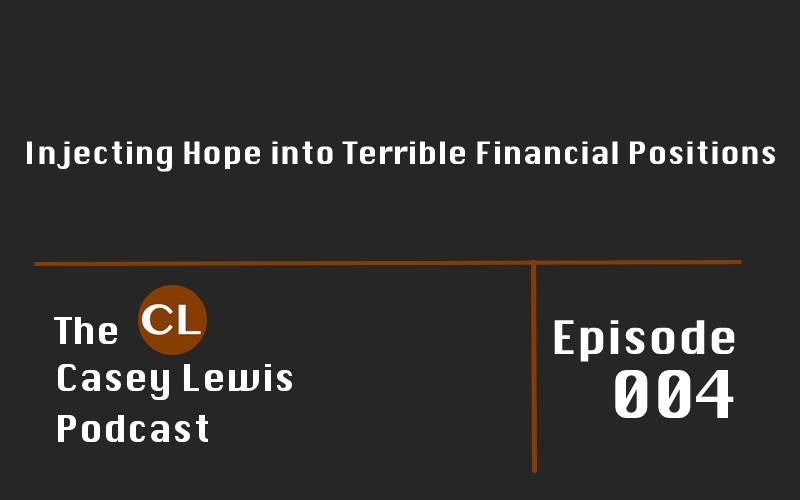 In this new podcast episode I tell you how you’re helping thousands of people with their money, and you may not even know it! 1. Adrian – I understand debt is bad and biblically it says that you’re a slave to the lender. I also understand that if you’re out of debt you can apply that income toward building wealth. But how does this work when you’re using debt to build equity, like in a house purchase? And if it’s okay in a mortgage what about in building a business. Basically, is it okay to use debt if it enables a positive cash flow? 2. Mark – What are some of the fastest ways to cut back and save some real cash? How Much Should You Really Pay Your Babysitter? If you haven’t yet left a review of the show in iTunes, please do. It helps other people find the show that may need help with their money. If you’d like to support the work we’re doing and help us create even better content that reaches more people, consider supporting on Patreon.